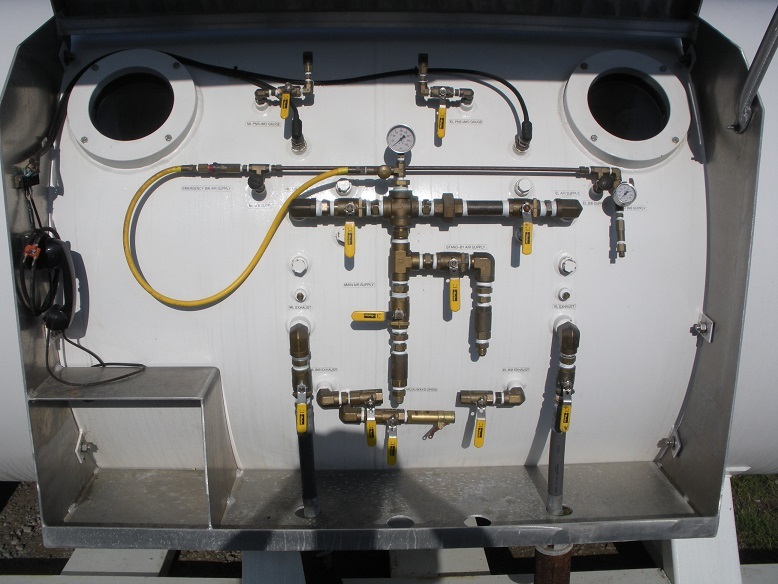 Beachwalk WWPS decompression chamber - Global Diving & Salvage, Inc. Global Diving & Salvage, Inc. provided Hyperbaric Consulting Services, including assistance with drafting of Hyperbaric Intervention Plan, for the Beachwalk Waste Water Project in Honolulu, Hawaii. Global assisted with the design, procurement, and modification of a decompression chamber to be used in the event that a hyperbaric intervention became necessary during the digging of the force main portion of the project. The tunnel, 7 feet in diameter, was bored with a micro-tunnel machine. A bulkhead was installed near the opening of the tunnel, where the decompression chamber was mated to the bulkhead. The compressed air workers entered the tunnel through the chamber, allowing them to decompress on the way out if needed.